The Rebel Sweetheart. : Brave the Trails with the Globe Cordillera Challenge 5. Brave the Trails with the Globe Cordillera Challenge 5. Heads up, biking enthusiasts! Globe has something for you! In partnership with the Cordillera Conservation Trust, Globe Telecom brings you the Globe Cordillera Challenge 5 - a biking event that promises its participants a scenic but grueling 90-kilometer ride from Tublay to Kapangan in Benguet and back. While the most picturesque among the routes prepared for the challenge since its launch in 2010, this year's trail also involves more technical climbs with total ascent of 3,390 meters and total descent of 3,404 meters. Maximum slope going up and down is 30 percent grade with about 20-25 kms of dirt road going down continuously. Lowest elevation is 522 meters above sea level while the highest elevation is 1,780 meters. "Bikers would be able to see some very nice rice terraces. Most people equate the rice terraces to Ifugao but we have it in Benguet as well. There's also a shallow river where they can stop and take a dip. But since it is the Cordillera Challenge, there's an extra element. It will be a bit tricky. There are also more rough roads instead of highways. We want everyone to explore and experience the Cordillera province. It's all about seeing what we have, and seeing why we have to protect all these areas," said JP Alipio, Executive Director of Cordillera Conservation Trust, partner-beneficiary of the event. As part of Globe Telecom's journey to create a wonderful world, it is also the first time for Globe Business group to take the lead in the Cordillera Challenge 5. Globe Corporate Social Responsibility OIC Fernando Esguerra (left) and Cordillera Conservation Trust Executive Director JP Alipio (right) encourage bikers to join the Globe Cordillera Challenge 5. "We believe that it is high time for our corporate clients to join us in our advocacy for environmental sustainability. We want to engage them in addressing their social and environmental impact. What better way to do it than by encouraging them to be part of the Globe Cordillera Challenge which has always enjoyed enormous success in creating environmental awareness among the public," said Nikko Acosta, Head of Globe Enterprise Group. Scheduled to take place on May 10, 2014, the event will have its first turnaround point at 20 kms from the starting line; this will be composed of purely paved roads. There will be sweeper trucks assigned in specific areas to bring bikers back to the finish line. The bike ride will start at exactly 5:00am at Tublay Municipal Hall and is expected to end there at 4:00pm. 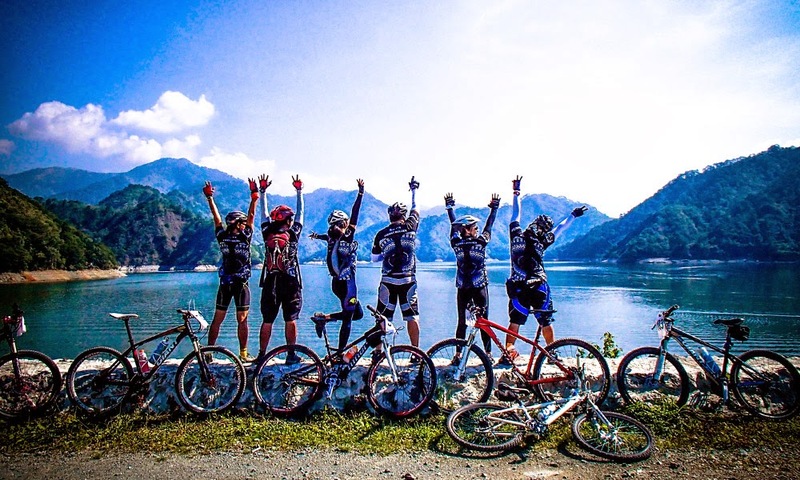 The Globe Cordillera Challenge is not a race but a timed event designed for recreational bikers to be able to measure their performance and explore the local environment. It also showcases the ecosystem and culture of the Cordillera region and raises awareness on the need to protect and rebuild the mountains' forest areas. Interested bikers can register at http://www.globe.i-volunteer.ph/register. Upon deposit, scanned copy of the deposit slip with the name of the participant shall be emailed to bridgecom@globe.com.ph. An email confirmation will be sent by Globe within 24 hours. wow! this seems like a great event! Thanks for sharing! Such a fun event. I love biking but I need a new one for this year. That does sound like a challenging event. I am hoping to do some kind of long bike ride this fall. This looks like a great event! Wish i lived near so I could participate! I haven't been on a bike in ages! This event sounds great and I admire the goals too.I wish I could truly participate!